The Jubilee Ortho bed comprises of the Zero deflection spring system to offer Sealys firmest Bed, made with a posture spring unit and finished with hand tufts help give the jubilee ortho its firmer feel. 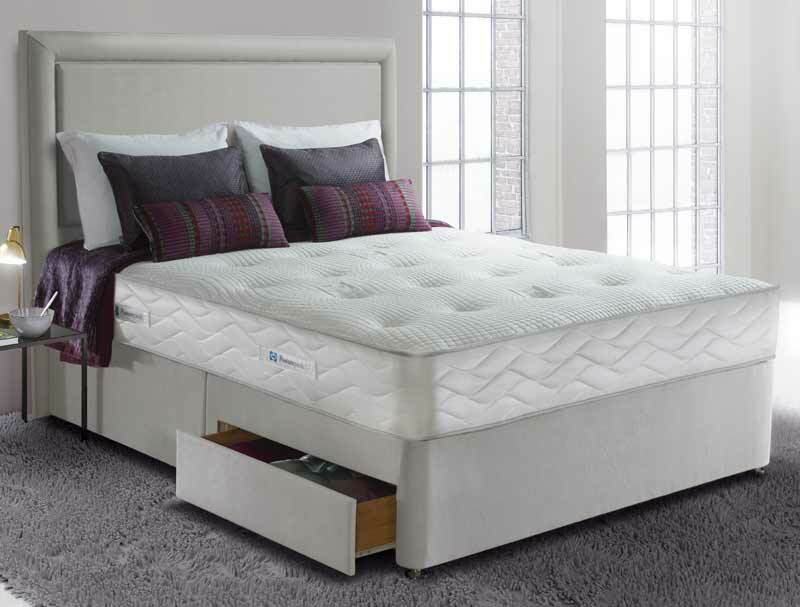 The Jubilee Ortho like all Sealy beds is non turnable so you will only ever sleep on the top side of the mattress , it also contains a small layer of memory foam as well as eco friendly cooling fibres and Sealys smart fibres to help the mattress stay cooler and hypoallergenic. This non turn mattress sits on a platform top hard base which has the option of 2, 2+2 or 4 drawers of which 2 drawers are currently free of charge. 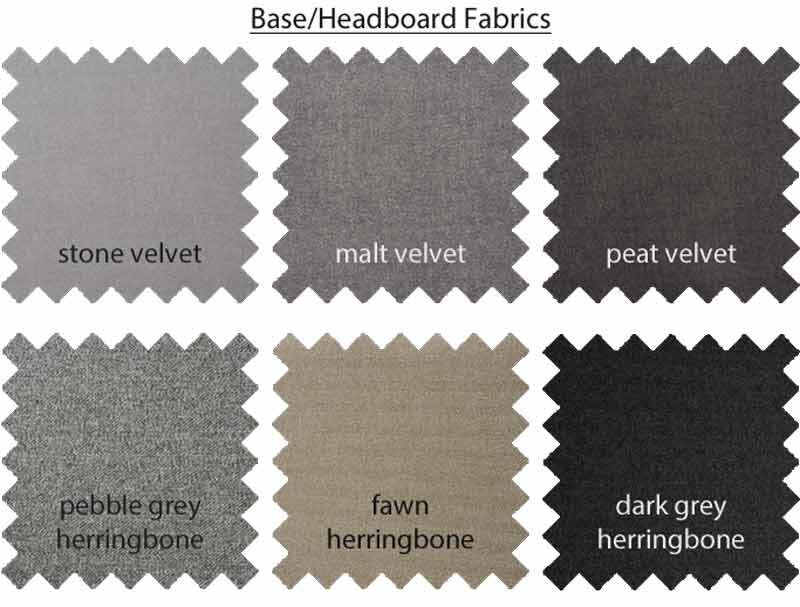 You can also upgrade to a new end opening ottoman bases for 2019 in 6 colourways Stone, Malt , Peat Fawn, Pebble or Dark steel . You can also select a Optional Headboard their are 3 headboards on legs and 3 floor standing of which the Palermo is the one pictured , this will be made in the same fabric for base and headboard .